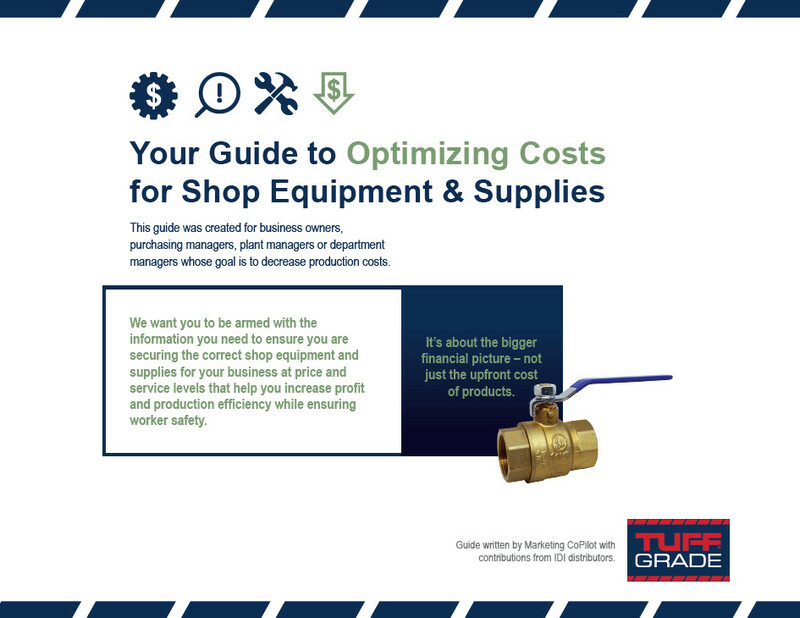 This guide was created for business owners, purchasing managers, plant managers or department managers whose goal is to decrease production costs.That’s why Tuff Grade has created this Guide to Optimizing Costs for Shop Equipment & Supplies. We want you to be armed with the information you need to ensure you are securing the correct shop equipment and supplies for your business at price and service levels that help you increase profit and production efficiency while ensuring worker safety. It’s about the bigger financial picture – not just the upfront cost of products. Download The Guide to Optimizing Costs for Shop Equipment & Supplies Now by Completing the Form Below. Add me to Tuff Grade's email list so that I can receive worker safety, continuous improvement, and other updates.